I hate that we went away from this court design years ago. The one we have now isn't bad, but it's kinda bland. 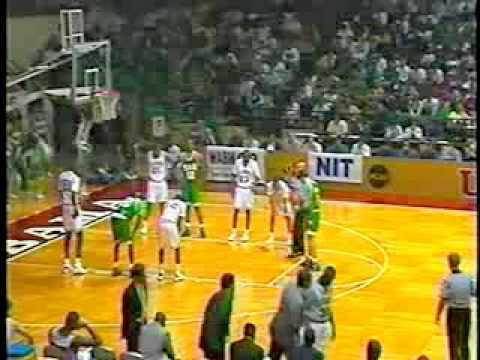 I think this would be unique and a nice throwback from the better days of Bama basketball (well except for the game happening in the pic below) Just use the updated center court and baseline logos we have now. Need to improve lighting especially the dungeonesque ceiling. Should take much to fix that. i'm pretty sure that is in the renovation plans. I am thinking a quick fix till then. Maybe just some lights pointing at the ceiling. Get an engineer to design it. It's depressing looking at that gloomy space. Agreed. Looks weird without it. The renovation should start with something like this. Wait... was that Tutwiler Hall getting blown up? No more 13 floors of whores? Nostalgically, I'm a little sad, but the place certainly was a relic of another time. was that Tutwiler Hall getting blown up? That was Rose Towers, but Tutwiler is getting replaced soon. I saw the rendering recently and thought they may have blown it up already. Saw they are finally updating Paty Hall as well. It was about damn time for that. That place was in need of it when I lived there in 1994!